Sometimes an obstacle to revitalization simply comes down to overcoming a bad rep. While she could have been talking about any one of the Hudson Valley’s 19th and 20th century industrial epicenters turned urban decline, Elissa Garay wrote for Chronogram recently, “Newburgh's biggest hurdle has perhaps been its reputation, one of lurid notoriety for crime and grit—a rehashed narrative, as residents will tell you, that's more of a retelling than a reality at this point.” A surefire way to combat this dilemma is to invite people in to see for themselves what’s happening in transitioning communities. So on Saturday, June 3rd, from noon to 10pm, Newburgh will be throwing open its doors for a block party that goes above and beyond. It’s an opportunity for families to explore this city’s flourishing cultural scene, where food, the arts, history, architecture, and geographic attributes beautifully intersect. Aptly named Newburgh Illuminated, the event is meant to highlight and celebrate the city, and bring people together to enjoy its assets and achievements. The festival takes place on Broadway and Liberty Streets, just a short walk from Washington’s Headquarters Historic Site and the Hudson River waterfront. There will be three stages of live music, and a Colorfest where participants playfully toss colorful powders. On the Ritz Performing Arts stage, there will be movement artists, jazz musicians, spoken word artists, and magicians from Newburgh and abroad. It's a dancer’s dream stage, with a wide variety of dance styles like ballet, Indian classical, and African drummers and dancers on display. There’s even a participatory dance called Newburgh Open Movement Mob, happening throughout the day. Check out scenes from last year’s Newburgh Illuminated festival. 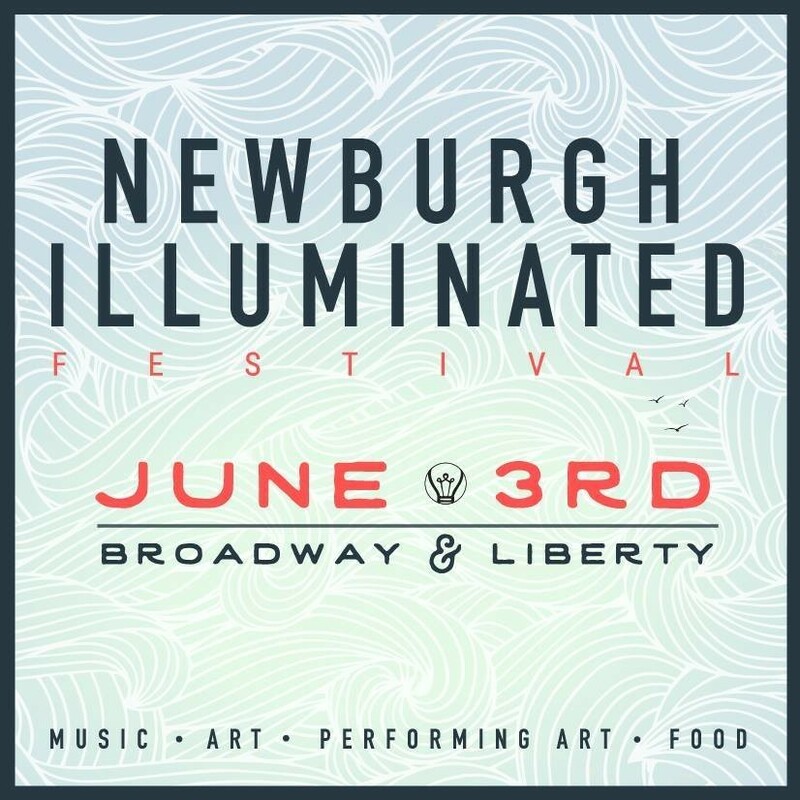 Newburgh Illuminated on Broadway and Liberty Streets in Newburgh: Saturday, June 3rd; noon-10pm; free to attend. There will be food vendors and specialty offerings by local makers available for sale a la carte. Visit the festival website for more info and their Facebook page for updates. Don’t miss the Fullerton Cultural Center’s popular book exchange, and Tempus Body Art’s vendor tent for Henna and Jacqua body art!